Moving right along…the other significant milestone in this episode occurs when Joey makes his first appearance on Days of Our Lives. As we come to find out later in the series, landing the role of Dr. Drake Ramoray on DOOL will prove to be one of the most pivotal moments of Joey’s acting career. In fact, this gig becomes the gig by which all other gigs are compared. Days of Our Livez (typo intended) becomes the mean that all of Joey’s acting roles regress to, so to speak. From here on out (in Joey’s mind), if he’s acting in anything more prestigious than than a soap opera, his career is on the up-swing and if he’s acting in anything less glamorous than being on day-time television, his career is in the toilet. In other words, this DOOL-ometer (if you will) becomes the mechanism Joey uses to evaluate his career. Now that I think about it, adding the DOOL-ometer as a regular part of this blog series would be a great way to keep tabs on our favorite fictional actor. (Note to Self: Begin measuring Joey’s acting career on the DOOL-ometer for the remaining 201 posts left in the series). And on that note to self, I better wrap this up so I can get on to my much needed holiday weekend relaxation time. Speaking of holiday weekend, I’d be remiss if I didn’t take the opportunity (in observance of Dr. King) to elevate the rhetoric and leave you today with a quote from the great reverend to chew on during the week. Dr. King once said, “It is not possible to be in favor of justice for some people and not be in favor of justice for all people.” With that, have a great rest of your holiday. Talk to you on that next. 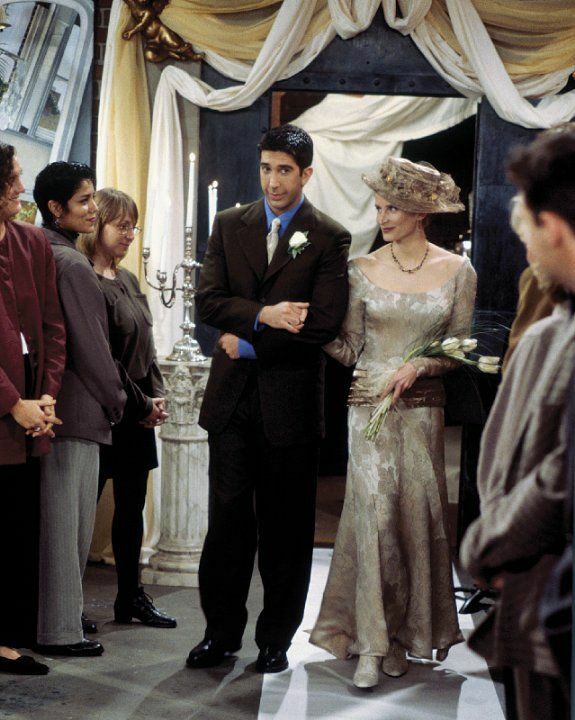 Recap in the Key of Phoebe – This is the one where Ross finds out that Carol and Susan are getting married, Rachel’s mom comes to visit and informs Rachel that she’s thinking about leaving her dad, Phoebe is haunted by the spirit of a massage client who died on her table, Joey makes his first appearance on Days of Our Lives, Carol and Susan hire Monica to cater their wedding, Chandler half-heartedly hits on women at the lesbian wedding, and Ross realizes that if he can attend his ex-wife’s wedding and be the one to give her away, he certainly can help to ball the melon.